Getting familiar with AutoCAD by using your mouse! then choose "Save as..." and save the file as "Activity-5.dwg"
Open your Activity 4 file. - Click a line to trim. - Click a line to extend. When your file looks like the sample here, then you've finished Activity 5. 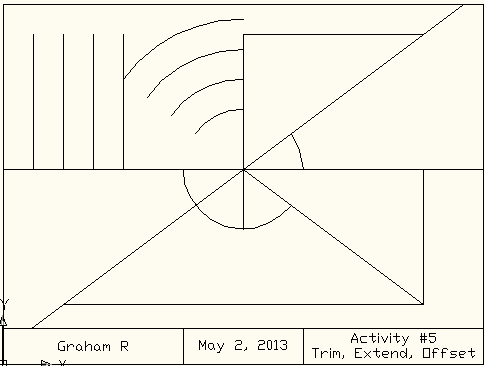 Save this drawing as "Activity-5a.dwg".